b. 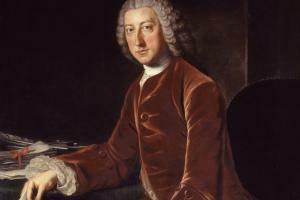 15 Nov. 1708, 2nd s. of Robert Pitt and bro. of Thomas Pitt (d.1761) . educ. Eton 1719-26; Trinity, Oxf. 1727; Utrecht. m. 16 Nov. 1754, Lady Hester Grenville, da. of Richard Grenville of Wootton, Bucks., 3s. 2da. cr. Earl of Chatham 4 Aug. 1766. Cornet of Cobham’s Horse 1731-6, groom of the bedchamber to Prince of Wales 1737-45; P.C. 28 May 1746; jt. vice-treasurer [I] Feb.-May 1746; paymaster gen. May 1746-55; sec. of state, southern dept. Dec. 1756-Apr. 1757, July 1757-61; ld. privy seal July 1766-Oct. 1768. A younger brother with only £200 a year, William Pitt at the age of 22 acquired a cornet’s commission costing £1,000, the money, according to the 2nd Lord Egmont, being provided by Walpole,1 presumably in return for the support of William’s elder brother, Thomas, who brought four Members, including himself, into the 1727 Parliament. But in the next Parliament, to which Thomas returned his brother, both Pitts went into opposition, William making a distinguished maiden speech against the Government on a place bill, 22 Apr. 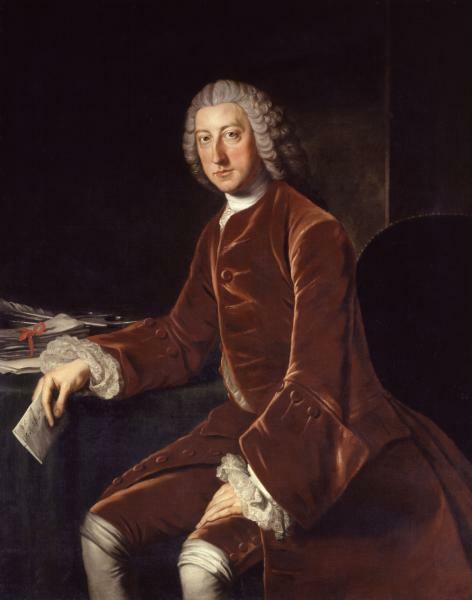 1735.2 By the following session he was known as ‘a very pretty speaker, one the Prince is particular to, and under the tuition of Lord Cobham’,3 with whose nephews, George Lyttelton and the Grenvilles, he formed a political group, nick-named ‘Cobham’s cubs’. Thus at the age of 37, after 11 years in Parliament, Pitt, in his own words, entered ‘the stream of promotion, which by its natural current and the right of succession in the graduation of office ... commonly bears men to fortune’. Entering the stream at a place reached by both Walpole and Pelham before him at a comparable age and in much the same time, he could reasonably expect to arrive in due course at the same destination, that of first minister. In this expectation he put up with eight years ‘at the oar of parliamentary drudgery’12 under Pelham. Only Murray, the future Lord Mansfield, could compare with him in mastery of the House of Commons: ‘they alone’, Chesterfield told his son in 1751, ‘can quiet and inflame the House; they are so attended to in that numerous and noisy assembly, that you might hear a pin drop when either is speaking’.13 But when Pelham’s death in 1754 opened the way to Pitt’s promotion, George II, in referring the choice of a successor to the Cabinet, said significantly that ‘he hoped they would not think of recommending to him any person who had flown in his face’. The royal veto was allowed to prevail, leaving Pitt, as he himself put it, stuck ‘fast aground’ in ‘the stream of cabinet promotion ..., exposed to the ridiculous mortification of seeing everybody pass by me that navigates the same river.’14 He died 11 May 1778. 1. Draft of an unpublished pamphlet written about 1757 containing an account of Pitt’s career, Add. 47097/8. 2. HMC Egmont Diary, ii. 171. 5. Coxe, Walpole, iii. 516. 6. Ilchester, Ld. Holland, i. 93. 8. Coxe, Pelham, i. 91-93; Newcastle (Clumber) mss. 9. Owen, Pelhams, 199 and n. 3; Yorke’s parl. jnl. Parl. Hist. xiii. 141-2, 471, 473. 10. Yorke’s parl. jnl. 1055-6; Owen, 301 n. 3. 11. ‘Family Characters and Anecdotes’, by the 1st Ld. Camelford, Fortescue mss at Boconnoc. 12. R. Phillimore, Lyttelton, ii. 267, 466. 13. Letters, 11 Feb. 1751. 14. Yorke, Hardwicke, ii. 205-6.